Last Monday, I shared some photos of my balcony garden as a way to lighten up the load of your Monday. It seemed to go over well so I thought I’d make this a semi-regular feature. What can you expect from Monday morning distractions? Not much writing, but lots of photos, videos, music, and it will always be light-hearted. Most of the posts will be related to Oakland, but some of them may not be. Tell me what you think in the comments, whether you love or hate this idea, and if you have any specific requests. 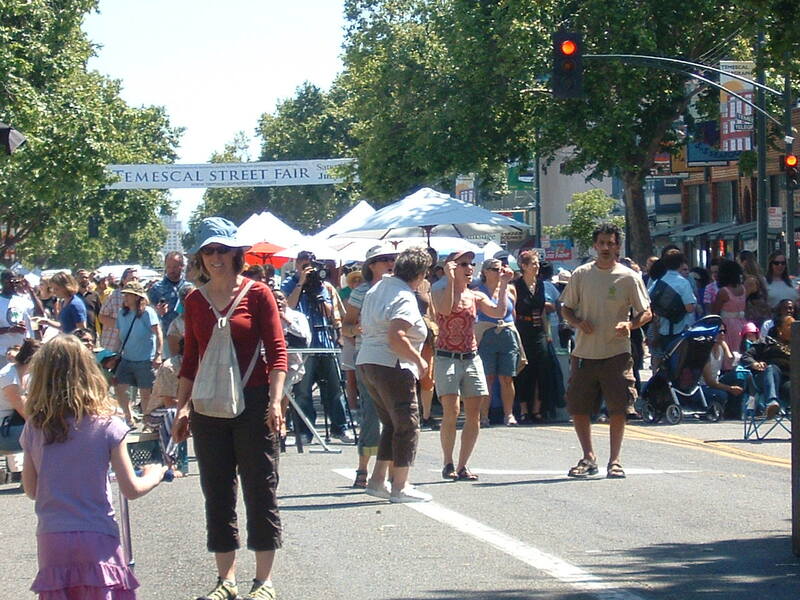 For this Monday morning, I thought I’d share some photos from this year’s Temescal Street Fair. 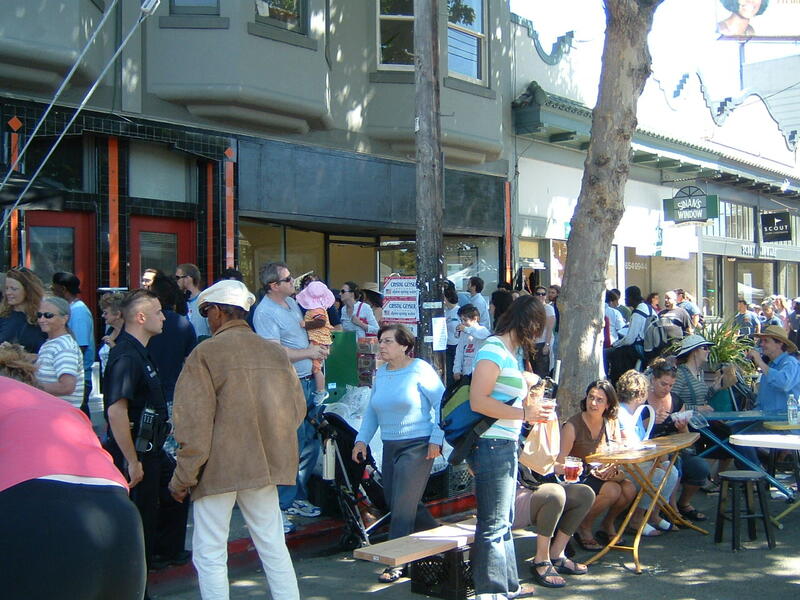 I never managed to write about it, but I thought this would be an appropriate time to post the photos, since Rockridge is having its neighborhood street fair this Sunday, September 28th. Hopefully these photos will inspire some of you to make it down to Rockridge next weekend. People everywhere, eating and dancing. 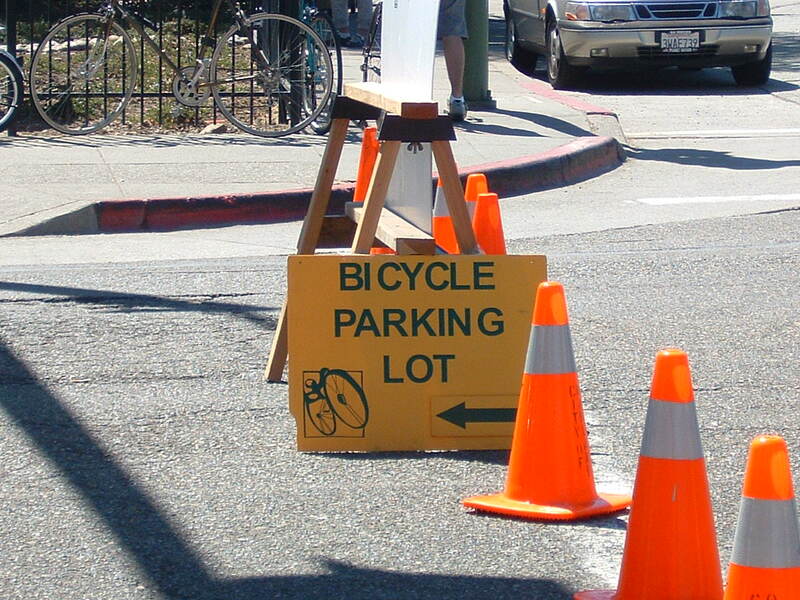 Good luck finding a parking spot for your car, but bicycle parking, no problem. Bakesale Betty, with an even bigger crowd than usual. 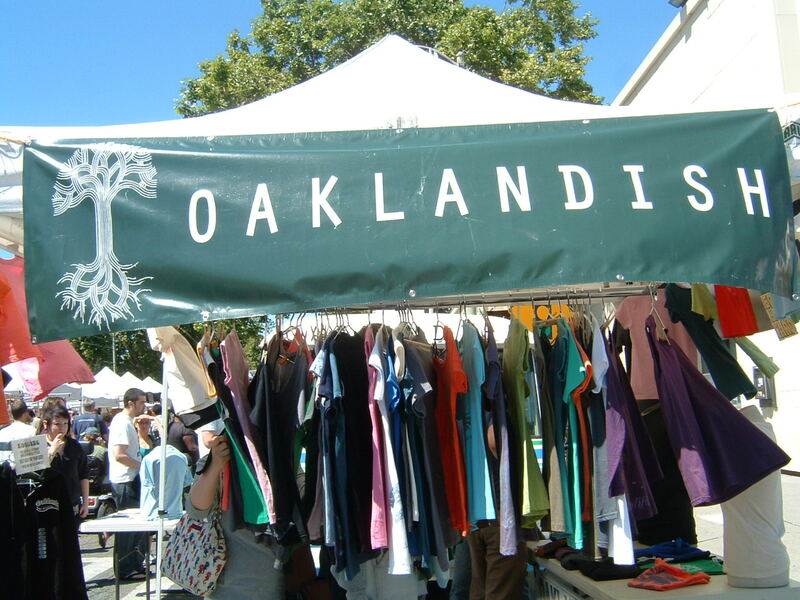 Oaklandish, with several new designs for the summer. 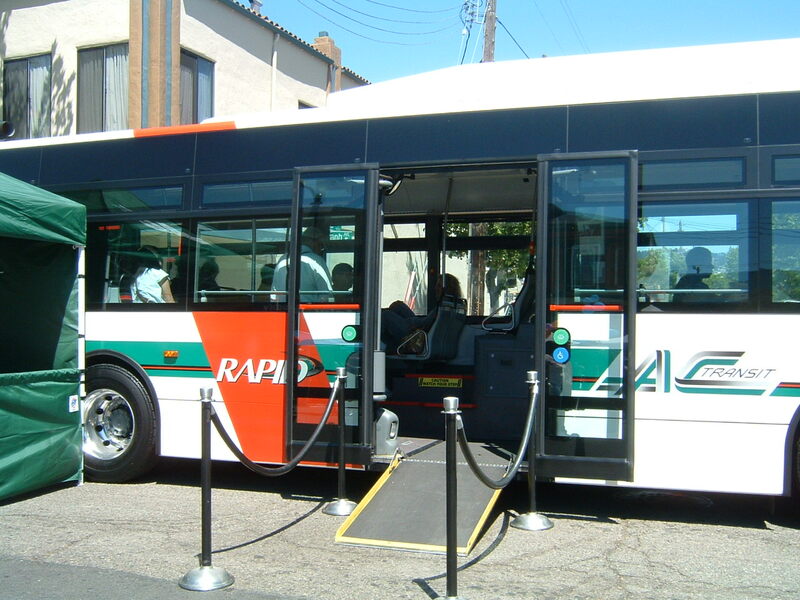 A rapid bus serving as a museum exhibit. Really, I was a bit shocked at how excited people were to get to check out the bus. Have they never been on one? A good old fashioned dunk tank, Oakland style. ← Support Rebecca Kaplan and Watch the V.P. Debate!